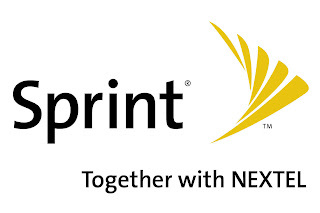 Sprint announced today a new plan that could be game changing in the cell phone world. The best part is, there are no special hoops to jump through. Priced at $70 a month, you get unlimited data, unlimited text/video/picture messaging, unlimited mobile to mobile (on any carrier), and 450 Anytime minutes. You also get the other little Sprint perks like GPS, Sprint TV, Mobile NFL Live, and NASCAR Sprint Cup Mobile. If you are on Sprint's Everything Data Plan, you will be upgraded to this new plan automatically. If you want the new Any Mobile, Anytime plan, you can switch without renewing your contract agreement. Better plan, cheaper, no contract renewal agreement? Wow, bravo Sprint! I know some people are bitter about how things use to be at Sprint, but it's clear they have taken a completely new direction the last few years that deserves some attention. Not to mention they have some sweet phones out like the Palm Pre and the Touch Pro2 with more to come like the Android-powered Hero and InstinctQ due out in the next month or two. Check out the official plan detail's page to switch over or just get more information, here.